Trimark Properties offers the best luxury apartments in Gainesville, FL, located walking distance to the University of Florida campus. Their Gainesville luxury apartments provide residents with a high quality of living and an unbeatable location. With 24 hour resident services, upscale amenities, spacious floor plans and uniquely-designed architecture, Trimark's luxury offerings truly stand out amongst the other upscale apartments and luxury condos in Gainesville, Florida. If you’re looking for the nicest UF luxury apartments, look no further! 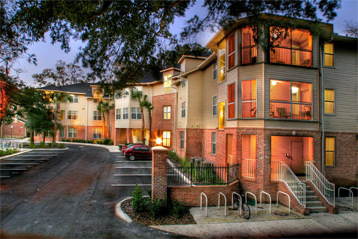 Trimark offers a convenient location, just steps from the University of Florida campus. Most Trimark's properties are just minutes away from your UF classes and UF Sorority Row, so you’ll be able to skip the lengthy bus ride after a busy day of class and walk home within 5 minutes. Whether you're looking to live alone in a studio or one bedroom, or looking to rent a larger apartment with friends, Trimark's large portfolio is sure to have a floorplan that matches your needs. With studios to 5 bedroom apartment options, and rental rates starting at $485 per month per person, Trimark has a fit for every budget. Begin your apartment search through our extensive collection of luxury Gainesville apartments and find your dream apartment near UF. Like an Italian vacation, but located right next to Sorority Row & UF classes! Our most upscale 4BR/4BA with HUGE kitchen, upgraded appliance package, private bathrooms & more. Check out the virtual tour! This spacious apartment features tall ceilings in living room with petrified wood floors, perfect for movie nights with friends. Select units have up to two balconies. 6BR House - AMAZING house next to UF, with polished hardwood floors. Yard maintenance, garbage pickup, and Ethernet included in rent. ONE OF THE CLOSEST APARTMENTS TO SORORITY ROW! Spacious floorplan with a gourmet kitchen, walk-in closets in each bedroom, & a balcony w/porch swing. 3BR House - This two-story house has granite countertops, luxury bathrooms, custom-built cabinetry, and plenty of natural lighting. This two-story townhouse features granite countertops, oversized bedrooms, petrified wood flooring, and custom wood cabinetry. Balcony and swing in some units. Stunningly Beautiful! This Solaria 3/2 has an alluring design with oversized bedrooms, a gourmet kitchen, and bathrooms that look like a spa! 3BR House - This renovated house features a gourmet kitchen, hardwood floors, and a beautiful spiral staircas that leads to an extended loft bedroom. One female space in a triple suite available now until July 2019! 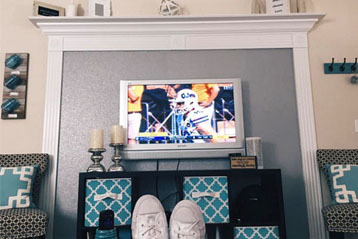 Get roommate matched with two other UF students and enjoy luxury dorm-style living with a private kitchenette and bathroom in the room - all just steps from campus! Females only! Roommate matching is available for this charming, fully-renovated 3BR/2BA house steps from Sorority Row! This 2-story house features polished hardwood floors, a spiral staircaase, gourmet kitchen with granite countertops! BIG balcony or porch, with porch swing! 2 big bedrooms, each with a private bathroom. Located across from Theta and the rest of Sorority Row. Enjoy a gourmet kitchen with GRANITE COUNTERTOPS, dual master bedrooms with built-in picture shelves and an open air patio or balcony in select units. 2BR House - This brick house features a newly remodeled luxury kitchen, hardwood floors throughout, and an enclosed all-season porch. Hi Speed Ethernet and W/D included in rent! Live 2 minutes from UF classes with granite countertops, luxury bathrooms, and available assigned parking. Each bedroom has attached private balcony. Newly built! Enjoy a porch/balcony, walk-in closet in bedrooms, vanity cabinets w/granite countertops in luxury bathrooms, & gourmet kitchen with granite countertops & breakfast bar! 1 female space available NOW until August in a large double suite in the female-only building! Enjoy a furnished bedroom, kitchenette and bathroom in-suite. Windsor also features a pool, full-size kitchen, and is located steps from UF classes! Available for Jan 2, 2020 move-in! Currently undergoing full renovations, these spacious 2BRs will feature all new floors & appliances! FREE parking & washer/dryer also included in rent! Unbeatable location! Super cute and unique apartment with lofted bedroom area. Located next to courtyard with trickling fountain. ETHERNET INCLUDED! Available for Jan 2, 2020 move-in! Be one of the first to live in these newly-renovated, HUGE 1br + den units! As spacious as a 2BR, these units will feature petrified wood floors, remodeled kitchen & a den/study! There’s nothing better than being welcomed home by a wide variety of upscale amenities in a spacious, well-designed apartment. At Trimark, each luxury apartment is handcrafted to evoke an upscale , relaxing environment. During the development process, the design team selects apartment finishes and color schemes that follow current design trends, and their award-winning maintenance team takes create care to keep the apartments in immaculate condition. Whether you’d prefer to read in an art nook or open a bottle of wine from a custom-made, built-in wine rack, Trimark's luxury amenities cater to your preferred lifestyle. The amenities at Trimark Properties’ luxury Gainesville apartments are just as important to us as the services we offer. Every luxury property includes 24/7 emergency maintenance, hi-speed Ethernet, a washer and dryer set, and energy and water saving features. Have a lower budget? Check out Trimark's other Gainesville apartments. 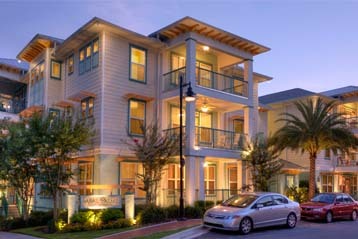 Since 2003, Trimark has specialized in luxury Gainesville apartments. Trimark Properties now owns and manages 15 luxury apartments for rent in Gainesville, each boasting an outstanding level of quality. 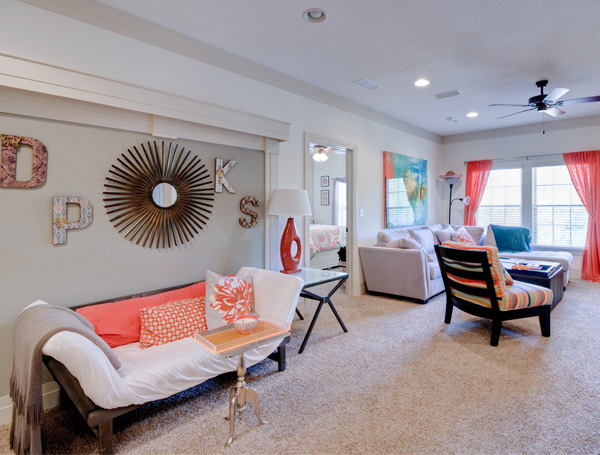 Each apartment complex embodies a different style and creates a one-of-a-kind ambiance. Whether it be immersing yourself in the Spanish revival elegance of Solaria, checking into the Tuscan-inspired retreat of Tuscana, or channeling the big-city extravagance of New York City at Savion Park, there is consistently a high-quality of living in each luxury apartment. Depending on which luxury apartment chosen, you can be welcomed home to your very own master suite bedroom, huge comfortable living area, crown molding, designer lighting, big bay windows, and private wrap-around balcony. "I have lived with Trimark for almost four years now and have been nothing but fully satisfied. The staff is friendly and so accommodating. The maintenence team is incredible! They come so fast and always go above and beyond in addressing my needs! I'm going to miss living with Trimark when I graduate this spring!" "Living in Tuscana is one of the best decisions I have ever made! Everything within this apartment complex is so new, the location is very convenient, and I always feel safe living here." LOVE SAVION PARK AND TRIMARK! "Love Savion Park and Trimark! Trimark is so helpful when it comes to tasks that college students do not always remember to do. Their maintenance will come in and change lightbulbs, air filters, and anything else you might need fixed." "I love my apartment in Camden court, perfect size and location. Trimark has been great with maintenance issues and resolving them in a timely manner. Really appreciative of the staff and their cooperation." Meet with a housing expert, discuss your needs and we'll take you to see the Gainesville apartments that are the best fit. Across the street from UF.